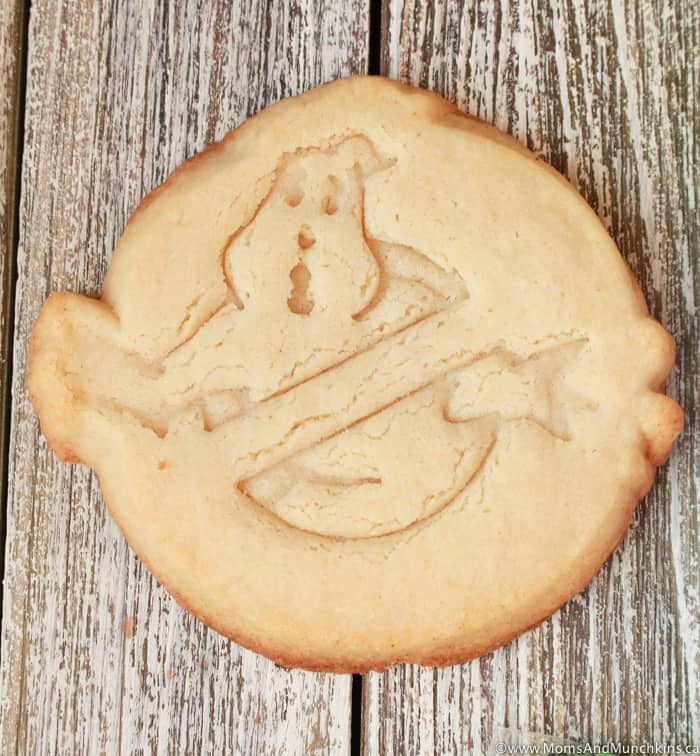 To say my son is a big fan of Ghostbusters would be an understatement. In fact, to say he’s a huge fan even seems like an understatement. 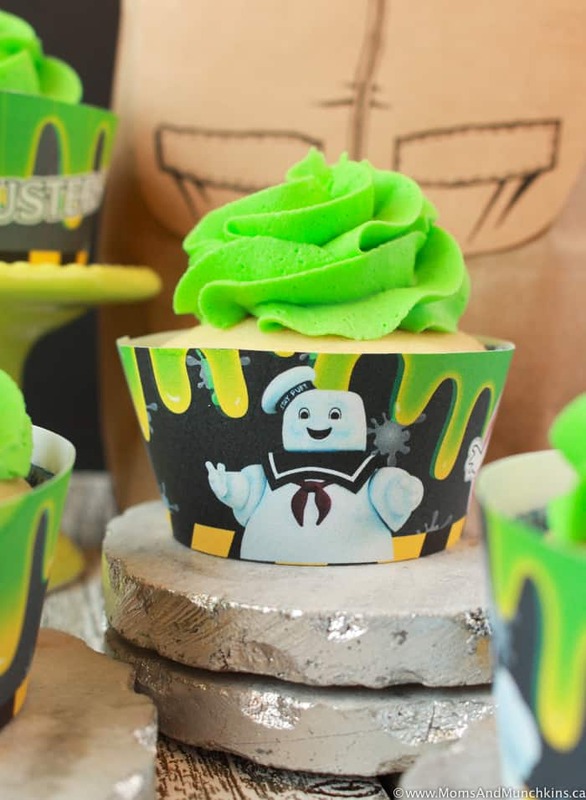 This kid absolutely loves everything about Ghostbusters! 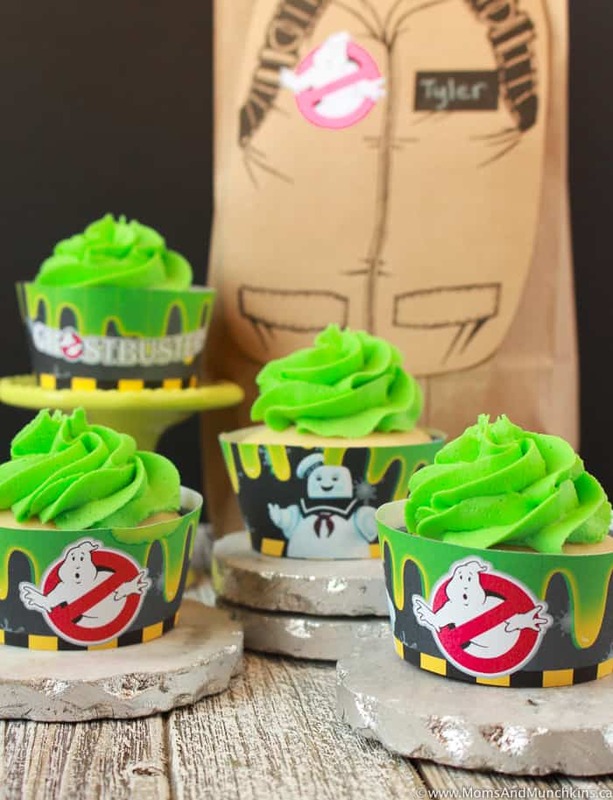 He knows all about the characters, their ghost busting gear, the years each of the movies came out, the ghosts, their procedures…he’s got it all memorized. 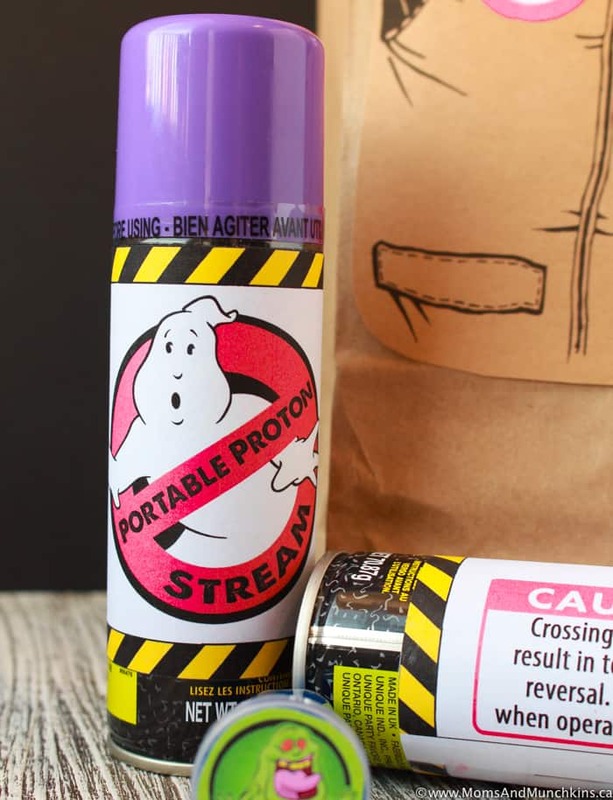 He has pretty much every Ghostbuster toy that is currently sold in stores, hats, t-shirts, a Ghostbusters watch, wallet, Ghostbusters ID card, even a Ghostbusters keychain he says he’s saving for when he buys his first house and car. Yep, he’s a MAJOR fan of Ghostbusters and asks me almost daily if we can travel to NYC to meet them. 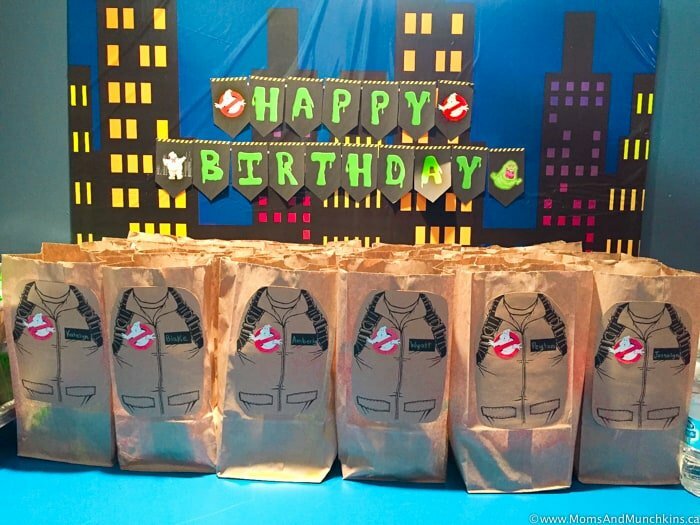 As his 7th birthday party approached, there was no doubt in my mind that he’d want a Ghostbusters party. With limited options in stores when it comes to this theme, we had to improvise a bit but he was thrilled with the way everything turned out. 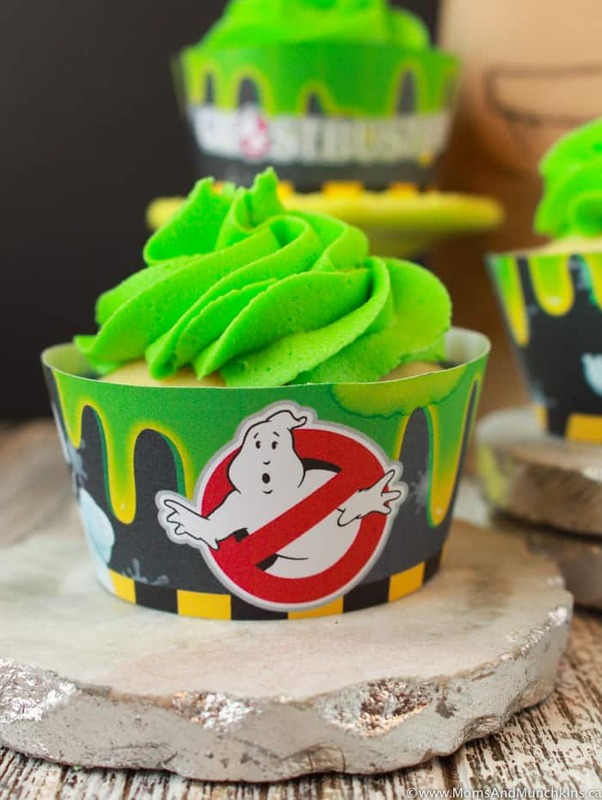 If you have a little Ghostbusters fan at home, I hope this post provides you some Ghostbusters party inspiration! 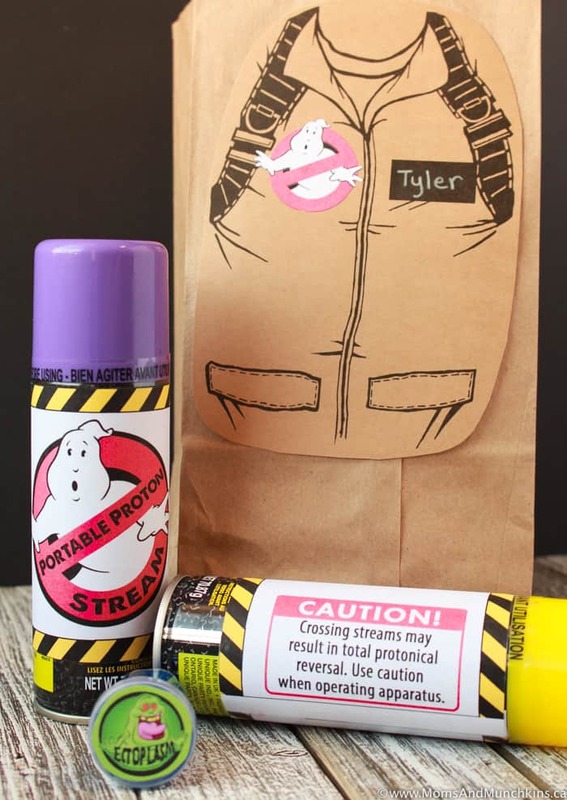 To start with, we ordered these fun Ghostbusters party invitations from Printable ETC. I received so many compliments on them from both the kids and parents! They also sell a cute personalized version including your child’s photo. 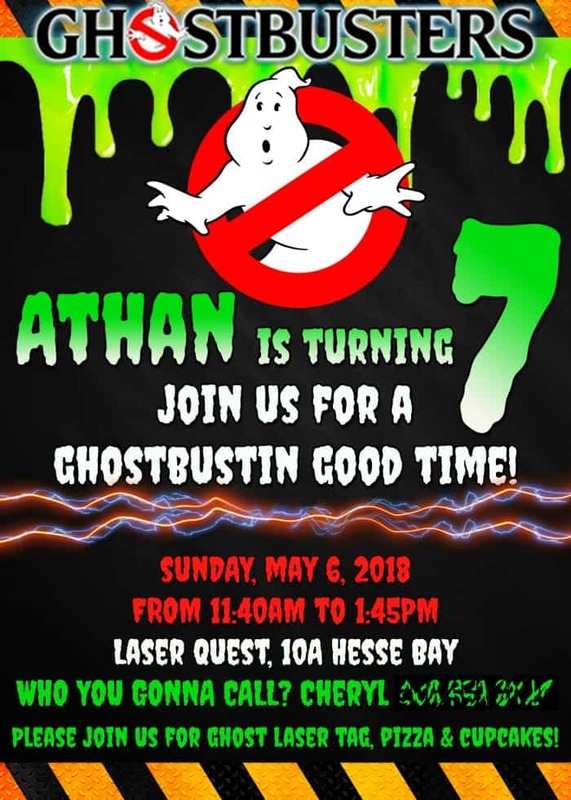 We decided to host a Laser Quest birthday party because we thought the laser vests and game was similar to a real Ghostbusters proton pack. All the kids had a blast! Next up – decorations! We had the party at the local laser tag facility so I was limited on how much decorating I could do there. 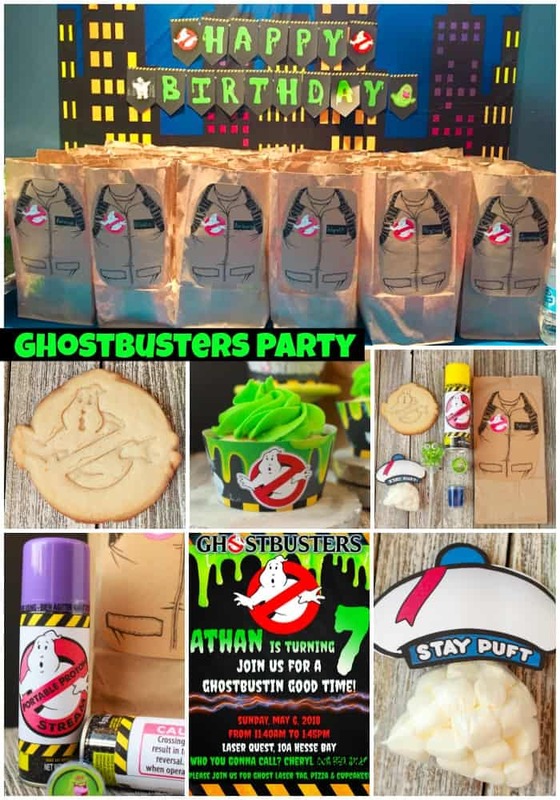 We went pretty simple with a party backdrop (city skyline backdrop and Ghostbusters banner over foam poster boards), Ghostbusters cupcake wrappers and the favor bags. 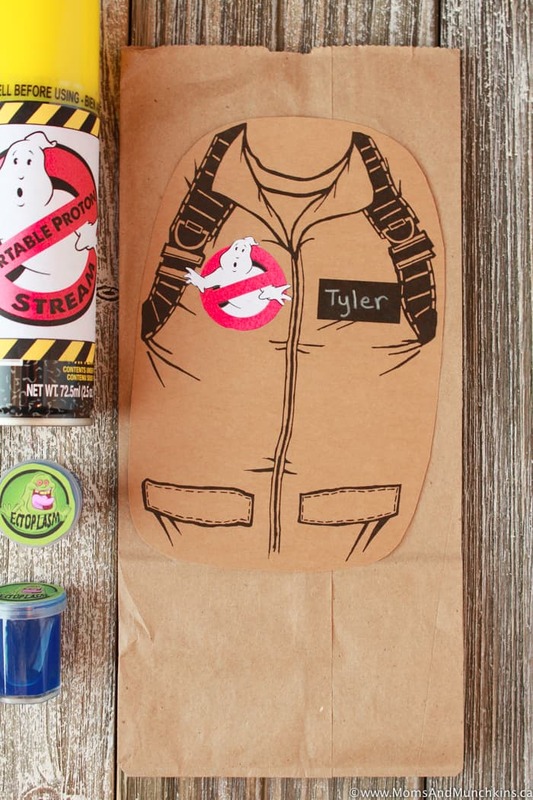 One of my favorite parts of this party were the Ghostbusters uniform favor bags. 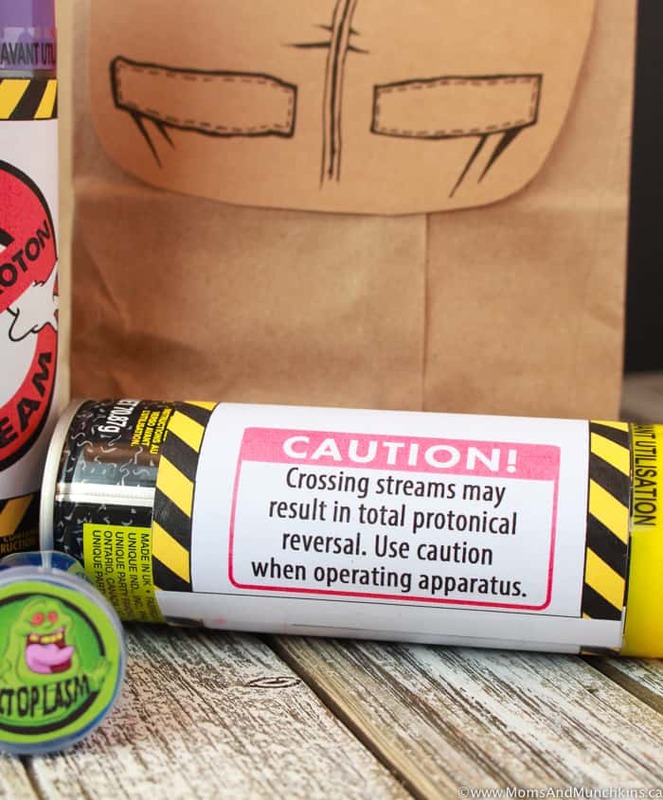 I printed them on Kraft paper and glued them to the front of brown paper bags. I then used a white pencil to write each child’s name on the name tag of the uniform. 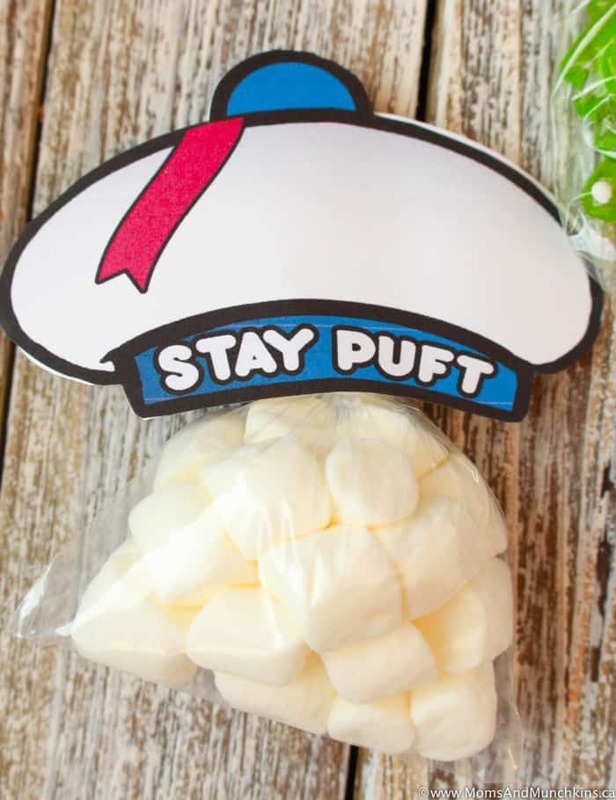 You’ll find the Ghostbusters party favor labels here. 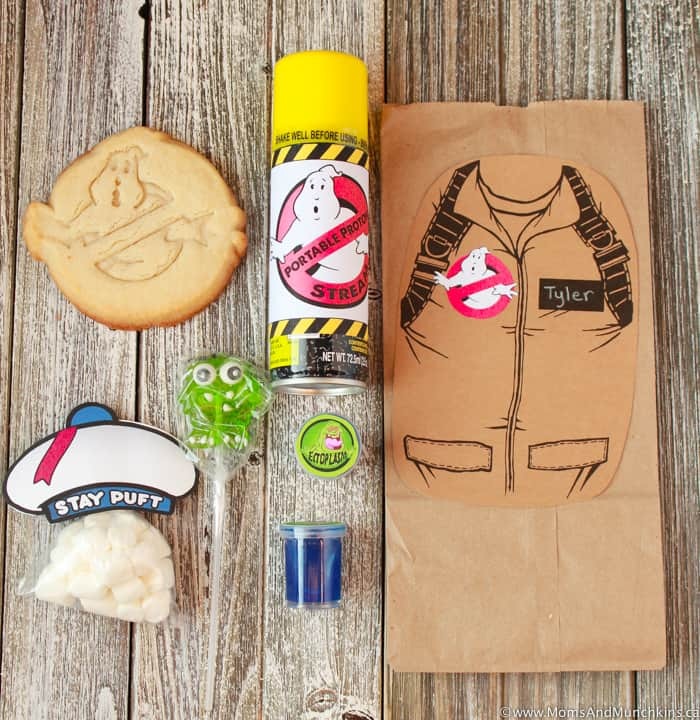 For even more fun Ghostbusters party ideas, free printables, and more, visit our Ghostbusters board on Pinterest. 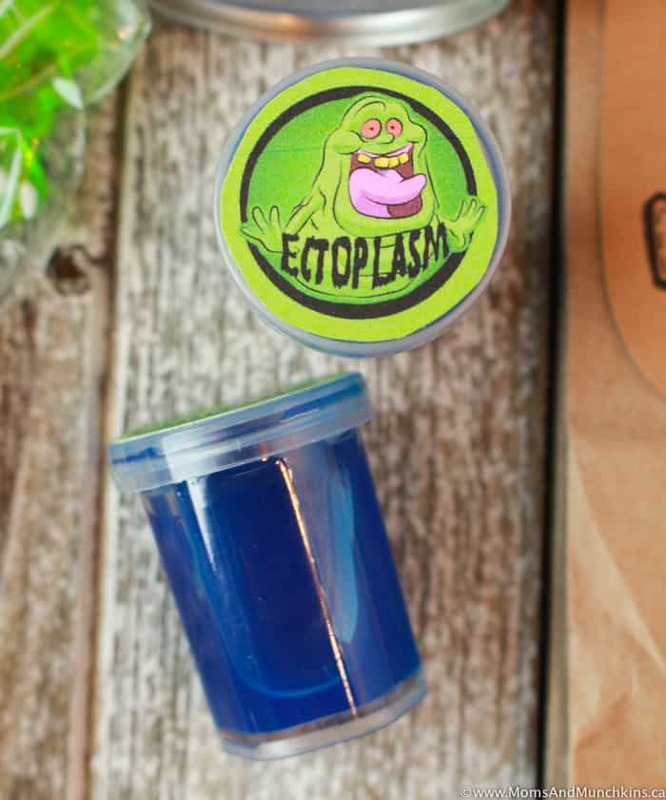 We’re always adding new ideas for parties and home entertaining! Stay updated on the latest by following us on Facebook, Twitter, Instagram and Pinterest.